According to the Bureau of Justice Statistics there are millions of outstanding warrants in the United States. Some of these warrants are for traffic citations and civil suits and others are arrest warrants. The arrest warrants are for criminals and those deemed by the courts as un-fit to be in the general public. Carlsbad, January 3, 2016	(Newswire.com) - Many citizens assume that criminals are caught, locked up, and kept away from the population. However, the justice system does not always run so smoothly. Thousands of people in every state of the United States currently have arrest warrants yet are living their lives freely among the innocent. These people may be neighbors, teachers, or friends. The average citizen is not aware of who is a potentially dangerous criminal walking among the public. How can this happen? When people commit or are accused of a crime, they are often charged and allowed to walk free. Jails simply cannot house every person who is accused. Police forces are similarly overworked and overburdened. If police officers do not locate a wanted person in obvious places such as their address of record, the search often stops there. The result is that many people with warrants run free until they are apprehended for another crime. Some criminals walk free even with multiple felony warrants. This poses a grave danger to the public. Many of these criminals walking free are violent or otherwise at high risk to society. They are likely to reoffend once they commit a crime with no consequences. However, there are ways that people can protect themselves and their families. There are many warrant search sites that allow people to search for warrant records. People can find out if a figure in their lives is a wanted criminal and avoid becoming the next victim. Anyone can protect their family and loved ones by performing a simple warrant search at SearchQuarry.com. This allows private citizens to feel safe in the knowledge that their neighbors, friends, and childcare providers are not criminals running free. SearchQuarry.com is currently offering a 5 day free trial to allow law abiding citizens to look up the people in their lives. 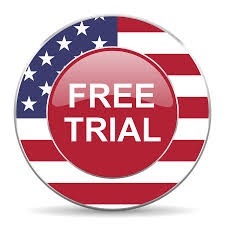 Anyone can find warrants and other arrest records by name, at no cost thanks to this free trial offer. There is no reason for anyone to live in fear that they may become the next victim of a criminal who hasn't been brought to justice. With SearchQuarry.com's free trial, people can find out this vital information at absolutely no cost.